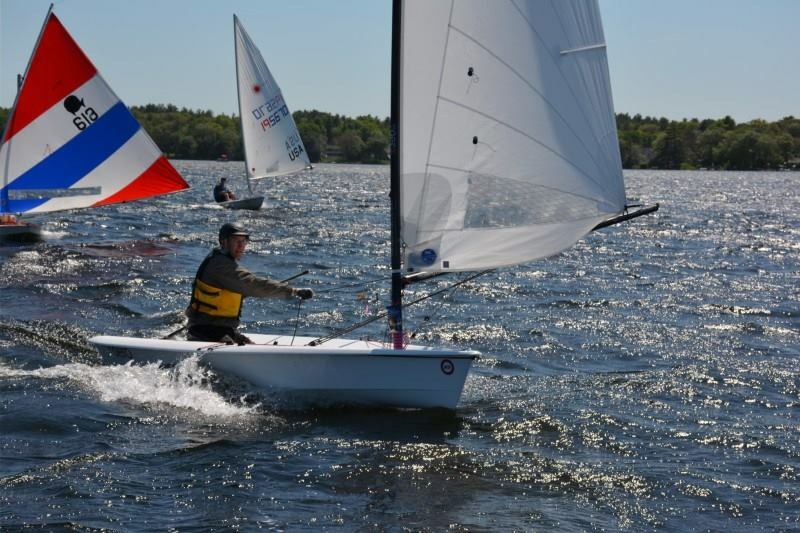 The second RS Aero Regatta in North America was held at Massapaog YC in Sharon MA near Boston on Saturday May 30 as part of the annual MYC Small Boat Regatta. 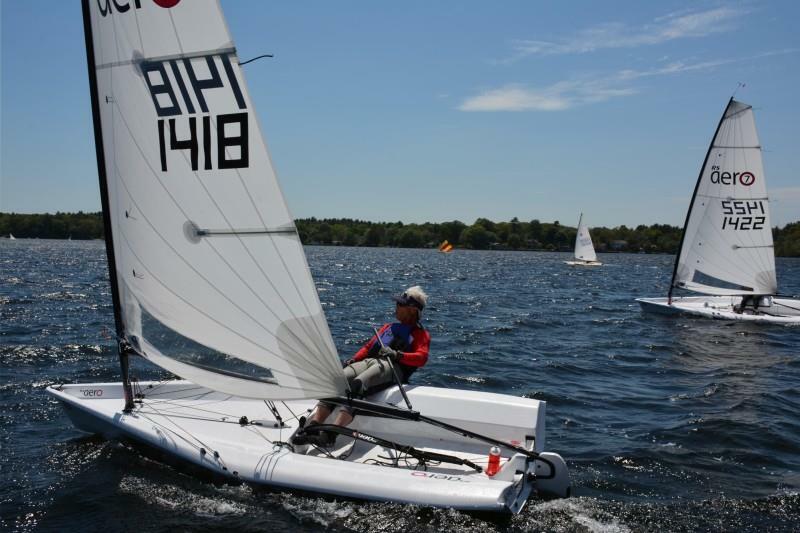 As well as the 3 RS Aeros of the Boston fleet, there were also 8 Lasers and 18 Sunfish racing in the regatta. The race committee set a windward-leeward course with multiple laps and started the Aeros with the Lasers. It was a sunny day with temperatures around 80 degrees, and winds were in the mid-teens gusting into the twenties which provided exciting and challenging conditions for all sailors, especially as this was the first time that all three Aeros of the local fleet had raced together. Eric Aker proved a master of the conditions, getting great starts and sailing his boat very flat upwind taking first place in all six races. 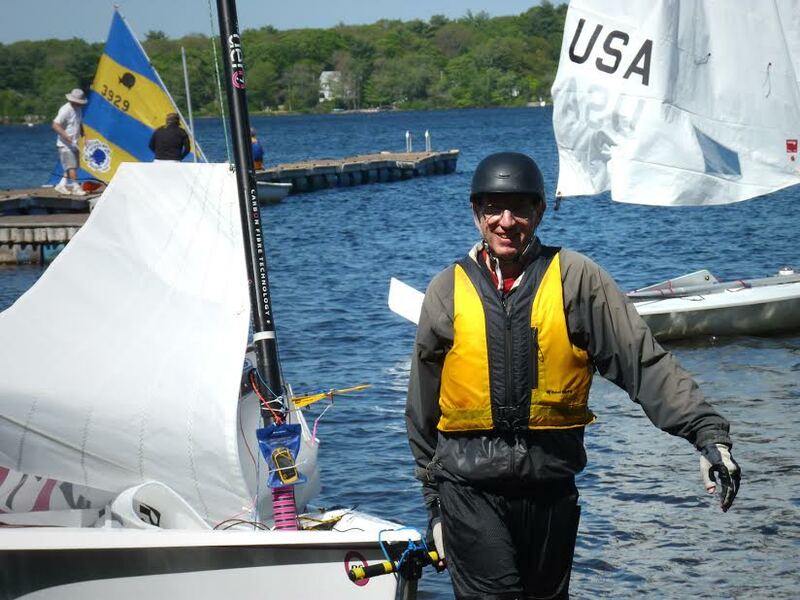 When asked for "words of wisdom" to explain his success he attributed his upwind speed to sheeting directly from the boom (not using the ratchet block) while beating, explaining that this enabled him to play the sheet more effectively to deal with the frequent changes in wind speed and direction on Lake Massaopoag. Although the results may suggest that the racing was something of a predictable procession it was occasionally closer than it looks. Thanks to Eric's one capsize of the day in one of the afternoon races, the other two Aeros did catch him on a downwind leg and all three surfed into the leeward mark together. A Laser also in the group tried to allow the Aeros to round the mark inside him and only capsized at the mark to add to the mayhem. Laser sailors are such nice people! 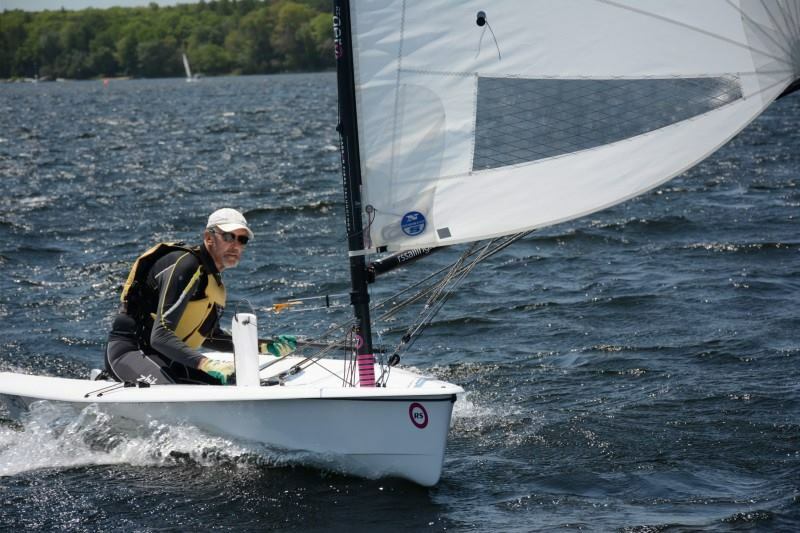 Drew Hall from The Boat Locker in Connecticut, our RS Sailing regional distributor, was also in attendance at the regatta with a demo RS Aero which attracted a lot of attention. Several club members took test sails in the demo Aero in the morning while we were racing so we are hopeful that some more sailors will be joining the Boston Aero fleet soon. Thanks to the folk at Massapoag YC for having the foresight to host the first RS Aero fleet on the east coast of the USA and for putting on such a superb regatta. Next big event in the USA is the North American Championships at The Columbia River Gorge in Oregon 25/26th June. Eric and Derek are already signed up to make the big trip to the West and with the Californian and Pacific North West RS Aeros it is set to be a great initial Champs with a warm up Lift-Off training day and Speed Contest on the Friday. *Any one in the UK or nearby who has lost their RS Aero water bottles fear not - Harken are providing free drinks bottles in their goodie bags to the first 30 online entries at the Lymington event on 13/14th June, only 12 remaining as of Mon 1st, enter HERE.